Which versions of La Folia have been written down, transcribed or recorded? written down, transcribed or recorded? See Moortel, Arie Van de (composers letter M). 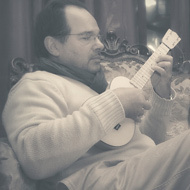 That the Folia theme is very suitable for plucked instruments is rather well-known but that the ukulele would be an obvious choice, one can only imagine after hearing Herman Vandecauter plays his Folía variations in a range of different techniques like the style brisé (arpeggio) and tremelo (tremelando) style. I wonder anyway if there is someone else than Herman who can sit as calm as a statue while playing in such a swinging way. 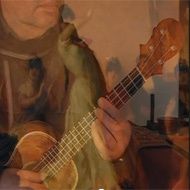 My ukulele version is more or les based on Marin Marais version. Actualy I did make the first version for the mandolin but since I became an ukulele adept I found out that it sounds even nicer on the ukulele some 7 month ago! 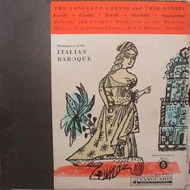 I was already familiar with Gaspar Sanz & Francois Lecocq versions for guitar. This Italian violinist was considered one of the top violinists during his lifetime. He was an arrogant and independent individual who did hold positions in various places, but would rather not be in service to any one except himself. 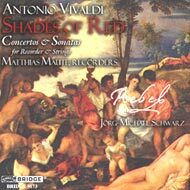 His musical compositions for the violin show an influence from Vivaldi. 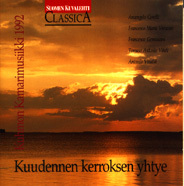 Veracini composed approximately sixty violin sonatas, concertos, oratorios, cantatas, and songs. 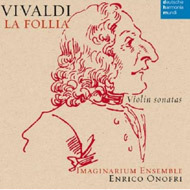 The violin sonatas were lucid examples of the galant style and indicate not only an influence of Vivaldi but Casini as well. Performing into his elder years, Veracini denounced homophony. 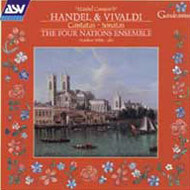 His arrangements of Corelli's Opus 5 is considered one of his major works. However there are few derivations in his Sonata XII based upon La Follia. Variation 18 and 19 are the most remote but in general they are following the footsteps of Corelli. The manuscript "Dissertazioni del Sg. 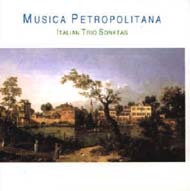 Francesco Veracini sopra l'opera quinta del Corelli" in the Biblioteca Comunale in Bologna (the late Liceo musicale) does not contain - as occasionally presumed - ornamentations of the famous sonatas by Corelli but a new version of them. The fugal movements especially have been revised to such a degree that they could be described as new compositions. 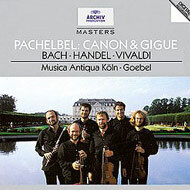 Like similar works by Bach, they are the expression of a profound and critical mind and in their thoroughness without comparison in the music of the baroque. Prix 7# 4 A Paris Chez l'auteur professeur de Musique et Matre de Guittare aux soirees epagnoles magazin de Musique rue de richelieu entre la rue de menans et la rue neuve St Marc. This composition requires not only lots of technique and concentration of the performer but of the listener as well because the music is not very accessible and certainly not intended as elevator-music. Borders are redefined and the tonal qualities of the guitar (as the title of the cd ' Resonance' suggests) are explored to the maximum. This quote is definitely true for this composition of Vigeland. The Folia-theme itself is never quoted and I wonder if the composer isn't overestimating the knowledge of the listener. For those familiar with the theme the subject is hard to miss in especially the third movement 'Dances'. Nils Vigeland wrote La Folia Variants in 1996 for guitarist Anton Machleder, who never played it. I subsequently played the premiere in October 2002 at the Manhattan School of Music. The piece is in three movements, Cadenza-Sonata-Dances. It is based on the rhythm- quarter-dotted quarter-eighth. Truthfully, the folia theme is not really discernible in 90% of the piece, it is more taken as material to jump off from. It is not published at this point, nor it is it recorded, though I plan to release the first recording in Fall 2003. I don't know if Vigeland plans on publishing the score. The piece is approx. 12 minutes long, and 16 pages. The piece starts in "tonic". I include the quotation marks since it is not explicitly in any key per se, but to the extent that it is, it starts on tonic harmony. So if it were in D minor, it would start melodically d-d--d, c#-c#---, d-d--d, e-e--. The appearances of the actual theme are masked but when they do appear, this is the form they appear in. 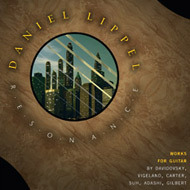 Nils Vigeland's La Folia Variants basks in the richness of sonority on the guitar. The first movement "Cadenza" uses rhythm to evoke the flow of speech, as repeated bell-like harmonics ebb and flow. "Sonata" opens with lush chords, and builds patiently to a prolonged climax over a pedal point, before returning to the intimacy of the opening. "Dances" is a virtuosic tour de force of three dance sections, each more fleet than its predecessor. The centuries old folia theme appears frequently throughout the work, sometimes buried in dense textures, and sometimes cloaked in unexpected garb. The composer writes, "La Folia Variants" takes more as a point of departure rather than a foundation the famous tune, subject of innumerable pieces. Not being a guitarist, my intrigue with the instrument is in the difference in resonance between notes that are harmonically powerful in the tuning of the six strings and those which are not. This, more than anything else, led me through the composition of the piece." Duration: Cadenza 2'36", Sonata 5'36" Dances 7'28"
Commissioned by the pianist Kalichstein for his concert program with the Folia-theme. He intended to play the Rhapsody Espagnol by Liszt and the 12 variations on la Folia by C.P.E. Bach next to the Fantaisie. One will certainly not come across any more Folies d'Espagne. So many strains of them abound, cluttering up all the concerts, that I should only be repeating the follies of others. 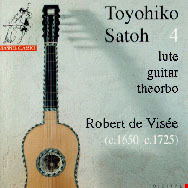 It's a pity that Toyohiko Satoh does not mention in the slipcase of the recording how he came to the conclusion that the manuscript (source not mentioned) could be derived from De Visée. So I wrote a letter to Mister Satoh and he was so kind to reply the 11th of May 1998 and explained why he attributed it to de Visée. In the Ms. Rés 1106, the source for his recording, the name of the composer is indeed missing. Although, when you look at the charasteristics of this composition some of the variations might have been done by de Visée. 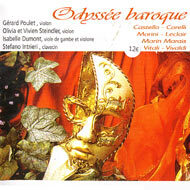 The interpretation of the performance is in some variations played in the spirit of de Visée. The Paris manuscript Vm 6265 has only 4 variations, but Rés 1106 has 6 variations including the last strumming variation. That final variation is written in thick chords only, but if de Visée (he was a guitarplayer too) played it, he surely used the strumming technique for it. Mister Satoh suggested that one of the reasons for the de Visée not to sign the piece could have been that he was afraid that his composition was compared with other folia-masterpieces. For T. Satoh it isn't that important who wrote the piece, because La Folia was public domain, borrowed and adapted by many composers in that era. 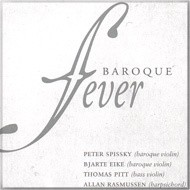 De Visée might be regarded as the exponent of all French Theorbo players at the end of the 17th century and since the piece was written during his lifetime, for a common audience it does appeal more to attribute it to de Visée than to some anonymous composer, except perhaps for some musicologists. Richard Hudson did include the score of the closely related piece for Theorbo in his study as Folia nr. 94, French c.1690 (source Bibliotheque Nationale, Paris manuscript Vm 6265, pp 11-13). Satoh	plays the same first three couplets, only the last strumming variation is a deviation as written down in thick chords in Ms. Rés 1106. This might be a transcription of the music by Lully. 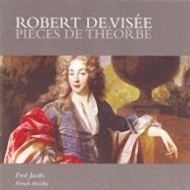 In any case de Visee never composed a Folia as written down in the preview of his published music. The title of this cd is another attempt to mistify the origins of this tune. 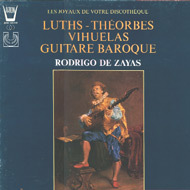 6 variations sur les Folies d'Espagne: French theorbo. There is a double reference made to Spain here: first by the theme and variations form and then by the folía. The probable Portuguese origin of this dance was long since forgotten. This late example of the French school of lute music shows it at its best and also it demionstrates what was to become the style of the 18th century French school of harpsichordists among whom the Couperin and Rameau. I started the composition in 1999 but it was not finished right away. Eventually the composition (the final one or two pages) was finished only 8 years later. In 2007 I had the feeling that I had to complete the composition. Every "Diferencia" (variation) is a tribute to one of the great composers of music. 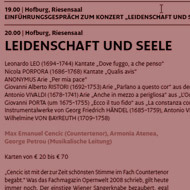 I don't remember every one: Cabezón and others like Händel, Corelli, Couperin, Beethoven, Bellini and Rachmáninov. The last diferencia was not associated with a particular composer and can be filled in by the listener. 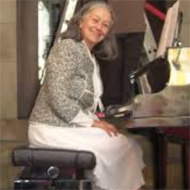 The reason to choose the Folía theme is that I would like to make an appropriate composition for the occasion that a collegue pianist retired: a close friend of mine. She is Catalanian and I am Galician. Then I needed some musical theme that is common ground for the both of us, which was not an easy task. Las folías de España is a magnificent theme and I found it perfect for my project. The performer in the YouTube film Antonio Queija is a great pianist. Folia: In 1611 Covarrubias Horozco explained that the name 'folia', meaning 'mad' or 'emty-headed', was appropriate because the dance was so fast and noisy that the dancers seemed out of their minds. The source that have come down to us do not enable us to determine wheter the 'folia' is of European or South American origin. The name first appeared in Portugal in the fifteenth century in connection with singing and dancing, and it soon spread to Spain. But the 'folia' may have been one of the first dances imported into Portugal from the New World. Portuguese 'folia' texts appear in the works of Gil Vincente (written between c1503 and c1529), and Spanish texts in the 'Recopilación en metro' by Diego Sanchez de Badajoz (published posthumously in 1544). In the seventeenth century the 'folia' was popular in Spain as a sung dance, accompanied by the five-course guitar and 'sonajas' (metal discs attached to a wooden ring). In early seventeenth-century Italy many 'folias' were written in 'alfabeto' notation for the guitar. These pieces call for rhythmic improvisation from the guitarist. 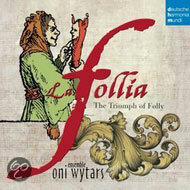 In the eighteenth century the instrumental 'folia' became a noble, courtly theme. 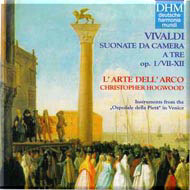 Its extraordinary, timeless harmony served as a basis for virtuoso compositions in Italy and France. Trio Sonata in d minor opus 1 No. 12 RV63 'La Follia' (1705). 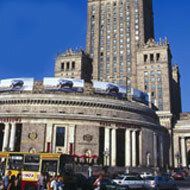 Theme and 19 variations. 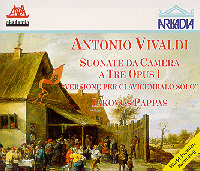 First published in Suonate da camera a tre, due violini e violone o cembalo in a collection by the Venetian music publisher, Giuseppe Sala.The opus 1 was dedicated to Annibale Gambara, a Veronese nobleman. This collection of twelve sonatas written for two violins - eighter with or without continuo, became widely known throughout Europe and has been published four times: by Estienne Roger in Amsterdam (around 1715 and after 1723) and by Le Clerc Le Cadet in Paris (around 1739 and then in about 1751). 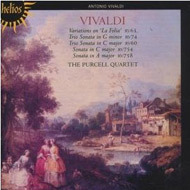 This Opus 1 collection contains the earliest known sonatas by Vivaldi. As indicated on the title-page of the collection, they could be played by two violins and violoncello (originally a violone) or by two violins and harpsichord. The original score contains only the bass part without its realization for keyboard. Vivaldi's 'La Follia' opens with a theme (adagio) followed by 19 variations of 16 bars each, all of them in the key of D minor, in both the slow and the fast movements. The melody is unadorned and linear. In some of the variations the two violins take turns in bandying melodic motifs from one to the other (Nos. 13 and 19), or play in unison of a third, while in others (Nos. 8, 15, 16, 18) the first violin withdraws from the sonorous fabric, leaving the other two parts to take over the simple role of a harmonic support. 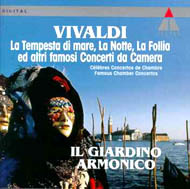 Theme of La Follia in arr. for two recorders and b.c. 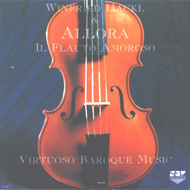 His first published work was, as might be expected for strings, a set of twelve 'Suonate da camera a tre' (c. 1705), which begs comparison with Corelli's opus 5 set of solo sonatas, published five years earlier, because both sets end with variations on the popular bass pattern known as 'La Folia'. 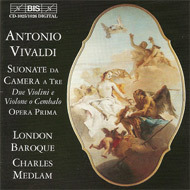 Vivaldi's Trio Sonata in D minor 'La Folia' RV 63 includes maximum virtuoso figuration for both violins and continuo, with occasional punctuation in the form of slower variations - an Adagio with some very Corellian suspensions, a Larghetto which gives all its attention to the first violin, and a Siciliano. 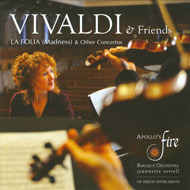 Apollo's Fire conducted by Jeannette Sorrell, with Julie Andrijeski violin and Susan Napper cello "Vivaldi & Friends"
It's a noble tradition, as illustrated by the inclusion of both Bach's "Concerto in A minor for Four Harpsichords", and Vivaldi's "Concerto in B minor for Four Violins" on which it was based. But the showstopper is the vivid "La Folia": I love the strings' halting introductory bars and the way the ensemble picks up speed, building to dizzying whirls evocative of the Moorish dance it's named after. 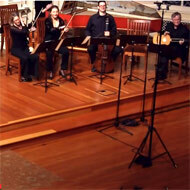 .Jeannette Sorrell finds Vivaldi's rhythms and harmonies exhilarating. 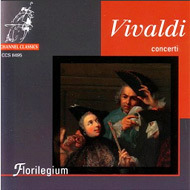 She proves this in her own arrangements of two of Vivaldi's concertos, the first of which opens this new recording. "La Folia" (which can be translated as "madness") is a dramatic Portuguese dance with Moorish influences. Legend has it that Portuguese girls would collapse after completing this frenzied dance which is full of seduction and dramatic courtship. The melody went on to catch the attention of many composers, including Vivaldi. Sorrell's arrangement turns his original trio sonata into a concerto grosso so the entire ensemble can join in "madness." Recording date: while “La Folia” was recorded live in a church in 2008, the other tracks were recorded at the same location in 2000 with no audience (source Fanfare, Maria Nockin). Armonia Atenea, conductor and harpsichord George Petrou with the program "Leidenschaft und Seele"
Broadcasted live concert by the Austrian radio station ORF September 6, 2012 in the program "Alte Musik im Konzert"
Recording date: August 25, 2012 in the Riesensaal of Hofburg, Innsbruck as part of "Innsbrucker Festwochen 2012"
For the generation after Corelli, the trio sonata became the genre in which young composers showed their skill in simultaneously shaping melodies and weaving counterpoint. 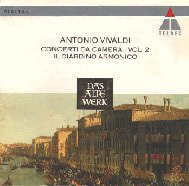 Thus just after Antonio Vivaldi was ordained a priest and just before he became maestro di violino at the Pietà in Venice he published his first work, a collection of 12 sonatas for two violins and basso continuo. 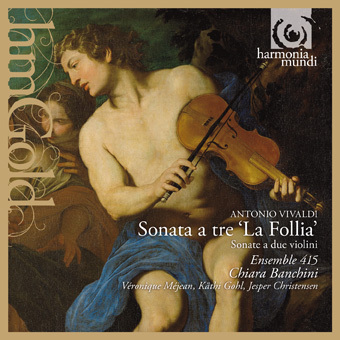 The last of these sonatas is a set of variations on La Follia, a popular theme of the day. It is founded on a sequence of four chords, in the manner of a chaconne. 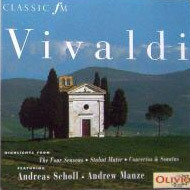 Vivaldi may not have been just copying Corelli who, in his opus 5, had also published variations on this theme; Vivaldi may implicitly have been claiming at the beginning of his career that he was Corelli's equal. These guys play very active, aggressive, energetic - feverish - way, which I greatly like. 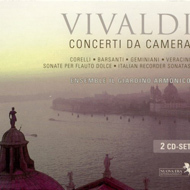 I have a number of recordings of the Vivaldi variations, and this is clearly my favourite. First time I heard it in concert, I was rather shocked about it, and definitely needed a drink. That is not meant in a negative way! Highly recommended! Title: Triosonat d-moll op. 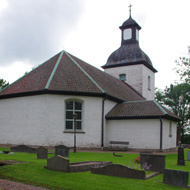 1:12, "La follia"
Recording date: During a live concert November 11, 2006, Sabbatsbergs kyrka, Stockholm, Sweden. 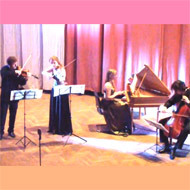 An arrangement for four guitars of an extract of Vivaldi's Follia. 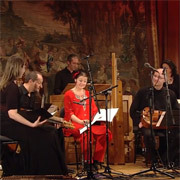 La Cetra d'Orfeo: Michel Keustermans (recorder and director), Hervé Douchy (violoncelle), Jacques Willemijns (harpsichord), Jurgen De Bruyn (theorbo and baroque guitar), Stephan Pougin (percussion), Laura Pok (recorder), Ingrid Bourgeois (violon). 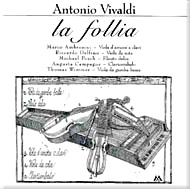 Vivaldi's Folia, op 1 No 12 is a typical example of a form of variations from the 18th Century Contrary to those of the 17th Century (Falconieri) these variations are distinctly different, even though they are sometimes linked, following on from one another. 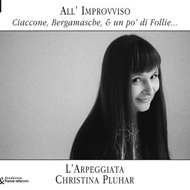 The different tempi and the characters follow each other with varying feelings of tenderness, vivacity and virtuosity to the delight of the instrumentalists. 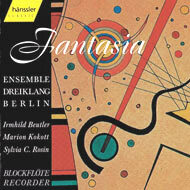 See FOLLIA for ballet, chamber orchestra and electronics (2004) . For this documentary 7 variations, especially the slow ones, are being used. And the choice of music is no coincidence because initially the set of variations by Vivaldi was published in Venice. Carnival, the four weeks leading up to Shrove Tuesday and, formerly, to the traditional limitations of Lent, was once a season of relaxation, a historical custom now revived, even in the snow in St. Mark's Square. 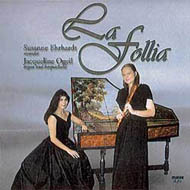 La follia or les folies d'Espagne was once the most popular dance tunes of the Baroque period, serving composer after composer as a basis for imaginative variations. 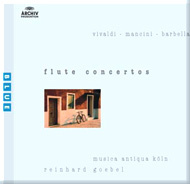 For Corelli it provided material for a violin sonata, while even in the twentieth century Rachmaninov had recourse to the same theme in a virtuoso work for solo piano. Album Notes: This set is offered at a special price: 3 discs for the price of 2. 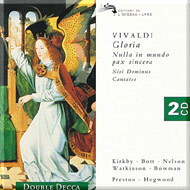 The discs that comprise it are available separately as Harmonia Mundi 901366, 901307 and 901548. Nous arrivons finalement au <<joker du jeu de cartes>> : une longue série de variations sur mélodie et la basse de La Folia constitue l'intégration de la Sonate 12. Son prototype est évidemment la Folia de Corelli, qui conclut les sonates pour violon opus 5 (de 1700) de compositeur romain. 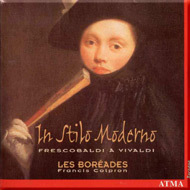 L'oevre de Corelli provoqua de nombreuses imitations, mais il semble bien que Vivaldi ait consulté directement l'original, à en juger par les nombreux parallélismes dans le dessin et le style des mouvements individuals. Dans un sens, la version de Corelli est la plus sophistiquée des deux, particulièrement pour la fluidité de sa musique. Mais Vivaldi fait bon usage du violon supplémentaire pour produire certains effets de contrepoint et de dialogue absents dans le discourse musical du modèle. Il est intéressant de souligner la façon dont Corelli prête une attention spéciale à la linéarité, ou l'saspect <<horizontale>> de la musique, tandis que le jeune Vivaldi privilégie l'harmonie, la <<verticalité>> en produisant un effet plus rude mais aussi plus passioné. 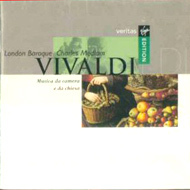 Vivaldi continua à écrire des series de variations, certaines très visionaries dans leur organisation soignée et logique, mais aucune n'atteint le niveau de cette Follia (de nouveau , Vivaldi <<vénitianisé>> Lórthographie!). Il s'agit vraiment d'un acte extraordinaire d'auto-affirmation d'un compositeur jeune et ambitieux. With the development of the virtuosic repertoire for the violin at the turn of the century it was only natural that the Folia should be included in it. In 1700 the great Arcangelo Corelli (1653-1713) used it as the basis for a series of exceedingly virtuosic variations with which he concluded his most influential collection of solo sonatas for violin and continuo, the famous Op. 5, the contents of which are known to have circulated in manuscript for more than a decade prior to this printing. In 1704 one of the most representative composers of violin music of the German and Dutch school, Henricus Albicastro, an artistic pseudonym of Johann Heinrich von Weissenburg (ca. 1660 -ca. 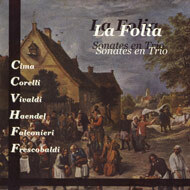 1730), published a sonata "La Follia", which displays a clear Corellian influence in its virtuosic writing. 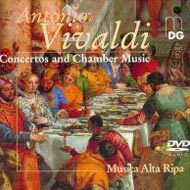 And it was not by accident that a year later, in 1705, the young Antonio Vivaldi (1678-1741) also chose to conclude a decisive publication in which he placed the highest hopes for the future of his artistic career, his Op. 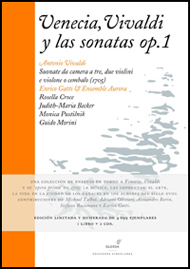 1 collection of trio-sonatas, with yet another magnificent set of Folia variations. Probably derived from a Portuguese Folksong, this theme has formed the basis of instrumental and vocal variations since the late 16th century. 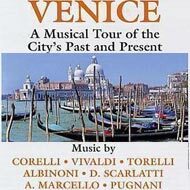 By following Corelli's celebrated set of 1700 with its own just five years later, Vivaldi was establishing his position in a competitive game. 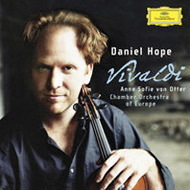 'Vivaldi's variations are redically different', Hope observes. 'They have a charmless playfulness in the way the violins 'toss the ball to and fro', and the slower, more poetic variations are deeply moving. Each one has its own personality, and its own language'. 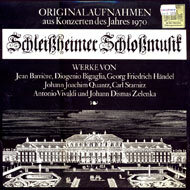 Every Baroque composer worth his salt wrote a version of Les Folies D'Espagne, or La Folli´a or some variant of Folly. The ground bass is a repeated pattern which allows for any number of deviations to occur, thus creating variations, some of which can be truly crazy. 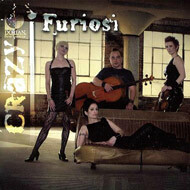 I FURIOSI has chosen to record the adaptations by Antonio Vivaldi and Andrea Falconieri. Les Passions, conducted by Jean-Marc Andrieu (Jean-Marc Andrieu recorder, Flavio Losco and Nirina Boug�s violins, Liv Heym, viola, Etienne Mangot cello, Jean-Paul Talvard bass, Ronaldo Correia de Lima Lopes theorbo and baroque guitar, M�lanie Flahaut, bassoon, Yasuko Uyama-Bouvard harpsichord) "FolieS !" 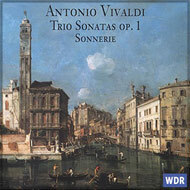 Vivaldi composed a Trio Sonata in D Minor for two violins and basso continuo. It was the twelfth from his Opus 1, published' in 1705 in Venice. Here, we find that the Folias are embellished by the genius of the red-haired priest at the peak of his art. Virtuosity, tenderness, passion and nostalgia follow in close succession, leaving us quite breathless. Title: Trio Sonata for 2 Violins and Basso Continuo in D minor, Op. 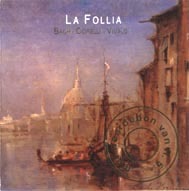 1 no 12/RV 63 "La Follia"
The 'Moscow Baroque' virtuoso musicians play the music of the Baroque era on real antique instruments in an authentic manner. 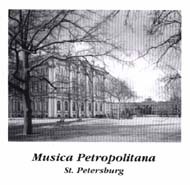 Having painstakingly studied the peculiarities of playing music which are characteristic for different European schools of that period, they have re-created the sound and general atmosphere of that era. 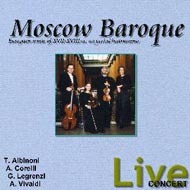 Unfortunately, because of the very serious economical crisis in Russia, 'Moscow Baroque' cannot publish the recordings of 'Apotheose de Lulli' and 'Apotheose de Corelli' by Francois Couperin, made at the Kondrashin Classical Recordings firm. 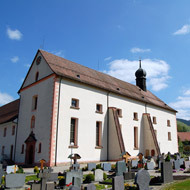 Broadcasted June 15, 2013 by Baden-Württemberg SWR2, Germany: Konzert in Kloster (Oberried) program "Triosonaten"
Musikschule Bonn ''La Follia, Junge Interpreten spielen Alte Musik"
His Folia was one of his very earliest works. Published in 1703 in Venice it brings his first printed collection to a close, paying an obvious tribute to Corelli's opera cinque. In spite of his youth, it already attests, with its 19 variations on this Iberian dance, to the rhythmic richness, variety an lyricism, simplicity and originality and inexhaustible verve of one of music's greatest geniuses. Sonata Op. 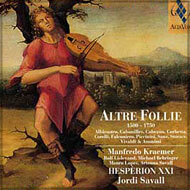 1 No 12 "Folia"
This cd assembles 'La Folia'-inspired works by six composers, starting with the original Corelli Sonata and ending with Geminiani's orchestral arrangement of it. The C.P.E. Bach and A. Scarlatti works are for solo keyboard. The six pieces are all taken from a series of earlier Hyperion cd's individually devoted to the respective composers. Duration of the six folias (incl. Marais, Vivaldi) 68'22"
Stephen Marvin: violin I and ormamentation, Jeanne Lamon: violin II, Christina Mahler: violoncelle, Paul O'Dette: lute, Charlotte Nediger: harpsichord. Recorded in St. Mary Magdalene Church, Toronto. In 1705, eager to make his mark as a composer of both opera and instrumental music, the young Vivaldi published his first set of twelve trio sonatas as Opus 1. 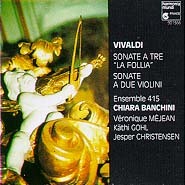 The last sonata, which is a highly virtuosic set of variations on the "La Follia" dance pattern (titled only "Follia" in the print), is one of his most famous works; Vivaldi takes Corelli's variations on the same theme-and-bass pattern from Corelli's Opus 5 (1700), which was already a famous work, and adds figuration of even greater complexity. The Folia-fragment from the opera Orlando Furioso conducted by Spinosi, act 3, scene 4 (complete act 3'25"
Vivaldi actually titled the opera 'Orlando'. 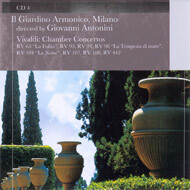 'Orlando Furioso' was the name of an earlier opera with music by G. A. Ristori and a libretto by Grazio Braccioli. Vivaldi made modifications to that opera in 1714, and in 1727 wrote completely new music to Braccioli's libretto, which is why Scimone calls it 'Orlando Furioso'. The last lines are directed to the sorceress Alcina. 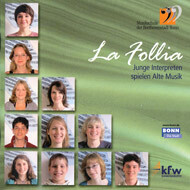 The 6 'la's are sung to the Folia tune, just making it into the 3rd measure. This snippet can be found about .9 inch (2.3 cm) from the end of side 5 of the recording. Il mio povero amore e bocca asciutta. Danziam, Signora, la follia d'Orlando. Left my poor love with a dry mouth. Let us dance, madam, the folly of Orlando. said " Little rogue, I shan't"
Let us dance, my lady, Orlando's "follia". 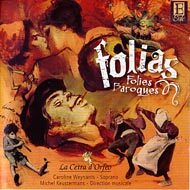 The Folia-fragment from the opera Orlando Furioso conducted by Marcon, act 3, scene 4 (complete act 3'25"
You're missing one or more?